Micro Stakes Poker: Why Is Bankroll Management So Important? Get in the habit of practicing sound bankroll management, whether playing the micros or high stakes. Micro stakes poker players should learn bankroll management as part of improving their overall game. Aside from a lack of skill and knowledge, what do you think is the number one reason players go broke in poker? I’ll go out on a limb and say it is not adopting a solid bankroll management system. Most professional poker players use a strict bankroll management system where the amount of money in their bankroll — the money they have available for playing poker that is only used for playing poker — dictates the stakes for which they play, and not the other way around. 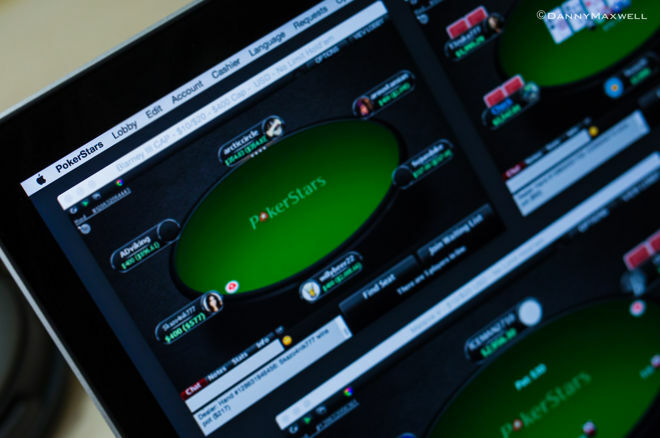 As more information about poker strategy has become easier to access, an increasing number of recreational poker players have a bankroll management system in place as well. But there are still a huge number who do not, particularly when these players compete for micro stakes. Why is bankroll management so important even at micro stakes? Let us explain. When playing at the micro stakes level, be it cash games or tournament poker, it is tempting to throw caution to the wind and disregard bankroll management. There are players — and I have been guilty of this in the past — who deposit $25 and immediately sit down at a $0.10/$0.25 or $0.05/$0.10 cash game where they have one or two buy-ins. The main reason they do this is because they have the mindset that they can afford to lose $25, so bankroll management doesn’t matter. One problem with this school of thought is that it is teaching them bad habits. In order to grow as a poker player, you need to lay solid foundations. By believing that bankroll management is an afterthought at the micro stakes, you run a very real risk of being blasé in your approach to such matters if you manage to move up stakes. Another problem with not having a bankroll management plan in place is that it can hinder your development as a player. In order to improve at poker, you need to play many hands, but by playing with only a couple of buy-ins behind you, you’re running a significant risk of going broke and not being able to play again until you can afford to make another deposit. Furthermore, the act of going broke can negatively affect some players mentally. Busting your bankroll can be traumatic (for want of a better word), because it confirms to your mind that you have lost — and not just that, but lost everything that you have in play. This experience can lead to you approaching future sessions with a negative mindset in place. How many people (for example) who frequently bust their small deposits do you see complaining about poker being “rigged” against them? Playing without an adequate bankroll can also make you take lines and make moves that are not optimal because you are scared of losing and not being able to continue playing. That, too, can result in adopting bad habits that go beyond bankroll issues specifically. Finally, playing to a bankroll management system teaches you discipline and shows you how difficult it can be to move up stakes. Using a 30 buy-in system, where you need 30 buy-ins to move up to the next cash game stake, can mean you’re at the same level for a significant period of time. For example, playing cash games with $0.01/$0.02 blinds, you would need $60 to play and $120 to move up to the $0.02/$0.04 level, a profit of $60. Even winning at a rate of 10 big blinds per 100 hands would take you 30,000 hands. If you grind 30,000 hands at one level and manage to move up stakes, not only will you have a great sense of achievement, but you will also have much more respect for the money aspect of the game — something that will serve you well when you reach dizzier heights.